Criminal Defense Attorney with over 30 years experience. Welcome to the website of Texas attorney William W. (Bill) Johnston. Bill has defended those charged with such offenses as tax fraud, money laundering, drug dealing, mail and wire fraud. Bill has defended cases throughout Texas ranging from DWI to murder. Bill first started handling complex civil litigation 30 years ago, as an attorney with a civil firm in Waco, Texas. Ever since his time as a federal prosecutor, Bill Johnston has creatively used the law to solve murders and fraud cases, and to find missing persons. 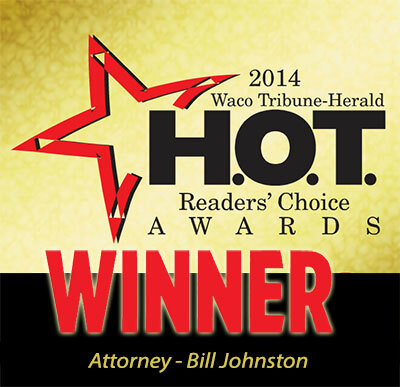 Put Texas Attorney Bill Johnston’s experience to work for you today.